Asenapine is a new drug under development for the treatment of schizophrenia and acute mania associated with bipolar disorder. Medicaid is expected to save billions of dollars a year as patents for several blockbuster antipsychotic medications expire and use of generic versions of these drugs increases, according to a new study by researchers at the University of Maryland School of Medicine. These savings may provide relief from the high costs of these medications and allow policymakers to lift restrictions on patients' access, the researchers argue. Allergan plc today announced that SAPHRIS (asenapine) 2.5 mg sublingual (placed under the tongue) black-cherry flavored tablets are available in pharmacies throughout the U.S. In March 2015, the U.S. Food and Drug Administration approved SAPHRIS for the acute treatment of manic or mixed episodes associated with bipolar I disorder in pediatric patients (ages 10 – 17). Forest Laboratories, Inc., a leading, fully integrated, specialty pharmaceutical company largely focused on the United States market, announced that reported diluted earnings per share equaled $0.07 in the third quarter of fiscal 2014, compared to a reported loss per share of ($0.58) in the third quarter of fiscal 2013. The third quarter of fiscal 2014 included a $45 million charge ($28.2 million net of tax) related to Project Rejuvenate. Assurex Health today announced the release of GeneSight Psychotropic 2.0, its lead psychiatric pharmacogenomic test panel. This latest GeneSight Psychotropic version has been updated to include four additional medications that now cover a total of 36 of the most commonly prescribed psychotropic medications in the US. There is little evidence to support the use of atypical antipsychotic drugs for some treatments other than their officially approved purposes, even though many clinicians continue to commonly prescribe these drugs for so-called "off label" uses, according to a new report from the U.S. Department of Health and Human Services' (HHS) Agency for Healthcare Research and Quality. H. Lundbeck A/S (Lundbeck) and Merck, known outside the United States and Canada as MSD, today announced a commercialization agreement for SYCREST (asenapine) sublingual tablets (5 mg, 10 mg). Under the terms of the agreement, Lundbeck will pay an undisclosed fee as well as product supply payments in exchange for exclusive commercial rights to SYCREST in all markets outside the United States, China and Japan. Lundbeck expects to launch SYCREST in the European Union (EU), where it is already approved, at the beginning of 2011. MSD announced today that the European Commission has approved the Marketing Authorization Application (MAA) for SYCREST® (asenapine) sublingual tablets for the treatment of moderate to severe manic episodes associated with bipolar I disorder in adults. Today's decision was based on recommendations from the European Medicines Agency (EMA) Committee for Medicinal Products for Human Use (CHMP). The Commission Decision applies to all 27 European Member States. Merck & Co., Inc. today announced financial results for the second quarter of 2010. The company reported non-GAAP (generally accepted accounting principles) earnings per share (EPS) for the second quarter of $0.86, which excludes purchase accounting adjustments, merger-related expenses, restructuring costs and the gain on AstraZeneca's asset option exercise. Second-quarter GAAP EPS was $0.24. Merck announced that the Committee for Medicinal Products for Human Use adopted a positive opinion on the pending Marketing Authorization Application for SYCREST (asenapine) sublingual tablets. The CHMP has recommended that the European Commission grant a marketing authorization for SYCREST for the treatment of moderate to severe manic episodes associated with bipolar I disorder in adults. The CHMP did not support an indication for the treatment of schizophrenia. Merck & Co., Inc. today announced financial results for the fourth quarter and the full year of 2009 which include the results of legacy Schering-Plough operations from the close of the merger on Nov. 3, 2009 through Dec. 31, 2009. Schering-Plough Corporation today announced that its investigational sublingual Grass (Phleum Pratense) Allergy Immunotherapy Tablet (AIT) has met the primary endpoint in a Phase III study of adult subjects in the U.S. with a history of grass pollen induced rhinoconjunctivitis with or without asthma. The investigational Grass AIT treatment is designed to work by inducing a protective immune response against grass pollen allergy and providing sustained prevention of allergy symptoms, treating both the symptoms and the underlying cause of the disease. Schering-Plough Corporation (NYSE: SGP) today reported financial results for the 2009 third quarter. 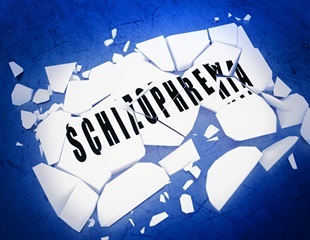 Schering-Plough Corporation today reported final results of a SAPHRIS(R) (asenapine) long-term schizophrenia relapse prevention clinical study. Schering-Plough Corporation has announced that the European Medicines Agency (EMEA) has validated (accepted for review) the company's Marketing Authorization Application (MAA) for Sycrest (asenapine) sublingual tablets for the treatment of schizophrenia and manic episodes associated with bipolar I disorder. The application will follow the Centralized Procedure. Schering-Plough Corporation has announced that it has responded to the U.S. Food and Drug Administration (FDA) complete response letter for SAPHRIS (asenapine) sublingual tablets, which was received in January 2009.